The locations of atlases and maps seen or known are given at the right of each entry line. The list below explains where the maps can be seen. Locations in brackets imply loose sheets from a larger work (e.g. maps taken out of a guide book or atlas): the exact source of these is not certain and these could come from any edition of that particular state. Locations in square brackets identify those atlases not inspected by the authors. We would like to thank the curators and staff of these institutions and the many private collectors without whose help the book, and hence this website, could not have been completed. AA* Collection of Dr Adrian Almond. BL British Library (and British Museum), London. BPR Bartholomew & Co. Listing at NLS. BRL Bristol Central Library, Reference Library. DEI Devon and Exeter Institute, Exeter. E** Westcountry Studies Library, Exeter. See article below. EB* Collection of Eugene Burden. FB Collection of Francis Bennett. KB# Collection of Kit Batten. Hull Kingston upon Hull Central Library. Leics UL Leicester University Library. MW Collection of Malcolm Woodward. NDL North Devon Library, Barnstaple. NMM National Maritime Museum, Greenwich. PRO Public Record Office, Kew, London. SGL Spalding Gentleman’s Library, Spalding Gentleman’s Society. TB Collection of Tony Burgess. TM Torquay Natural History Society (Torquay Museum). TN* Collection of Tim Nicholson. W Whitaker Collection, University of Leeds. WM Wisbech and Fenland Museum. WSL William Salt Library, Stafford. A number written in bold within a bracket, e.g. (127), denotes more information can be found on the page of text to map 127. Map numbers below 117 indicate that the map being referred to is included in The Printed Maps of Devon, which is also available on-line. In addition, reference is often made to COPAC. This on-line service is a search engine for books bringing together the catalogues of some 70 British and Irish libraries including most of the major institutions. It is registered and based at the University of Manchester. # If you are interested in acquiring any of my collection, please contact me. * We are sad to announce that since the publishing of this list, Dr Adrian Almond, Mr Eugene Burden and Mr Tim Nicholson have since died. Their collections have since been sold. In addition Mr Tony Burgess has disposed of much of his collection. We would be grateful for updates on the current locations of works mentioned in this cartobibliography. ** The Westcountry Studies Library in Castle Street, Exeter has been closed and a new Heritage Centre opened. See below. What is happening? 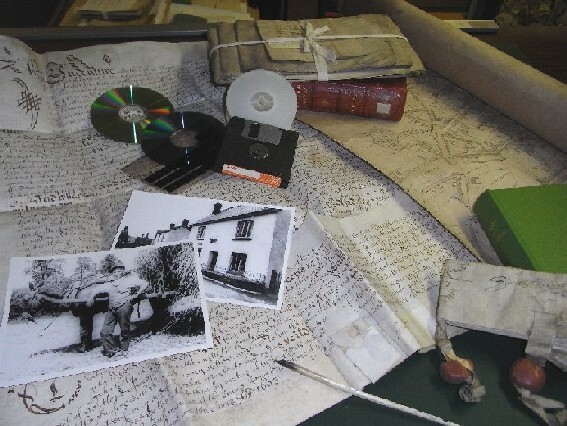 The collections of both the Westcountry Studies Library, which were previously all housed in the Castle Street section of Exeter Central Library, have been amalgamated with the Devon Record Office archive collections to form a fully integrated Devon Heritage Centre. 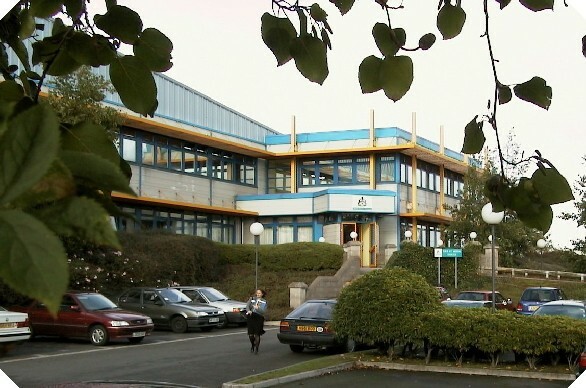 This is located at the former Devon Record Office premises at Great Moor House, Sowton Business Park, Exeter. The contents of the former Westcountry Studies Library reading room at Castle Street have already moved to Great Moor House. The local studies material remaining in the stack at Castle Street is gradually being moved to Great Moor House as well. Related collections, notably the historic registers of the Devon Registration Service should be transferred to Devon Heritage Centre in 2014. Selected archaeological records may also be transferred to the new Heritage Centre in the future. When is it happening? The transfer of the former Westcountry Studies Library collection is a two stage process, and started with the stock from the main Reading Room area, which moved across to Great Moor House on 2 October 2012. This allowed the vacated space to be used as a temporary library facility whilst Exeter Central Library is undergoing major redevelopment. More local studies material has since been moved to Devon Heritage Centre, and further stock will be coming here in small batches during autumn 2013 in advance of the final move. The remaining local studies stock should all be transferred to the Heritage Centre by late Spring 2014. What about access during these changes? Since September 2012 the local studies material remaining at Castle Street has been held in a closed stack. However, Local Studies staff are no longer available for consultation at the Castle Street premises. Items which are still currently held at Castle Street can be reserved and viewed at the Devon Heritage Centre during the usual searchroom opening hours of Tuesday-Friday 10am-5pm on the condition that two working days’ notice is given. Items must be requested by reservation and have to be brought from Castle Street by staff members to be viewed at the Devon Heritage Centre. Please note that the local studies items are for reference use only and may not be borrowed. How do I request these items? Stack items identified from the former Westcountry Studies Library local studies catalogue can be requested by email (devrec@devon.gov.uk) or if you do not have email access, you may send a letter or telephone the Devon Heritage Centre on 01392 384253 between Tuesday and Friday, 10.00 a.m. to 1.00 pm. and 2.00 p.m. to 5.00 p.m. Please contact us if you are unsure whether the material you wish to see has been transferred yet. Customers will be notified by telephone or email as soon as possible when the stack items they have ordered have arrived and have become available at Devon Heritage Centre. What about access at the Heritage Centre? 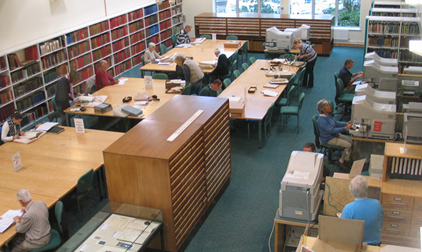 The local studies library material and the Devon and Cornwall Record Society collection from the former reading room at Castle Street is accessible on open shelves in the Devon Heritage Centre searchroom at Great Moor House, Sowton Business Park, Exeter. Microfilms and fiche of newspapers and other filmed sources formerly held in the Castle Street reading room are also now available at the heritage centre. Our Heritage Services Assistants are on hand to advise on the location of material and facilitate access. Please note that all new visitors to the Devon Heritage Centre are required to complete a registration form and provide proof of identity/address (renewable annually) prior to admission. On a recent visit (March 2014) to the Devon Heritage Centre (easily accessible by public transport) the very friendly staff explained that map material had not all been transferred from Castle Street and would probably not be available until after the summer of 2014. However, materials can be pre-ordered; please give adequate notice of your visit. The amount of space for laying out material is only about the same as was previously available.